Manchester United were 2-0 winners over Benfica at Old Trafford to make it four wins from four in our Champions League group stage matches this season. An own goal from Mile Svilar on the stroke of half-time was followed up by Daley Blind’s penalty in the final 15 minutes. Anthony Martial had seen his own penalty saved after 15 minutes by the 18-year-old Benfica goalkeeper who had scored an own goal in our 1-0 win in Lisbon two weeks ago. 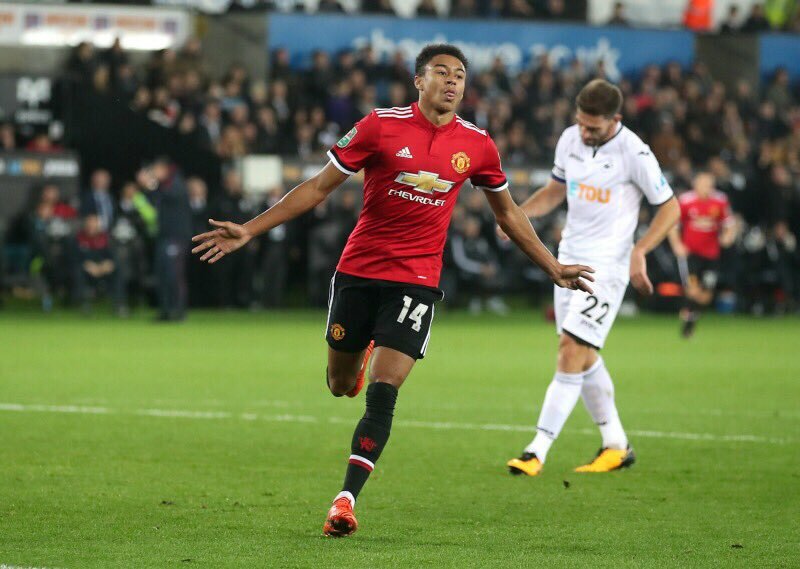 This evening’s victory did come with one sour note as Jesse Lingard appeared to pick up an injury midway through the first half following an innocuous collision on the halfway line. The England international went down moments later but continued to play the remainder of the first half. Lingard wasn’t moving as fluently as he had prior to his knock and was substituted for Henrikh Mkhitaryan at the break. We return to domestic action on Sunday at Stamford Bridge to take on the Premier League champions. Chelsea were hammered 3-0 at AS Roma in their Champions League match this evening. Antonio Conte’s side have struggled defensively this season and the pace of Jesse Lingard could certainly cause a problem to their back three if he is fully recovered in time.